Standard "backyard-type" propane barbecues (using 20 pound LPG containers) are not allowed on balconies, roof decks, rear yards and courtyards of apartment buildings and other multiple dwellings. 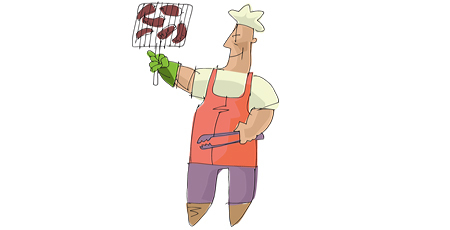 All barbecues must be placed at least 10 feet from combustible material and combustible waste. This 10 foot separation requirement would apply to, among other things, any building of combustible construction, combustible building siding, combustible furnishings such as plastic or wood chairs and tables, and combustible decking. In addition, a garden hose attached to a water supply or a portable fire extinguisher must be nearby and readily available for use.